Tulisan means "handwriting" in Indonesian, and it's there in Jakarta, the capital of Indonesia, where the magic happens. 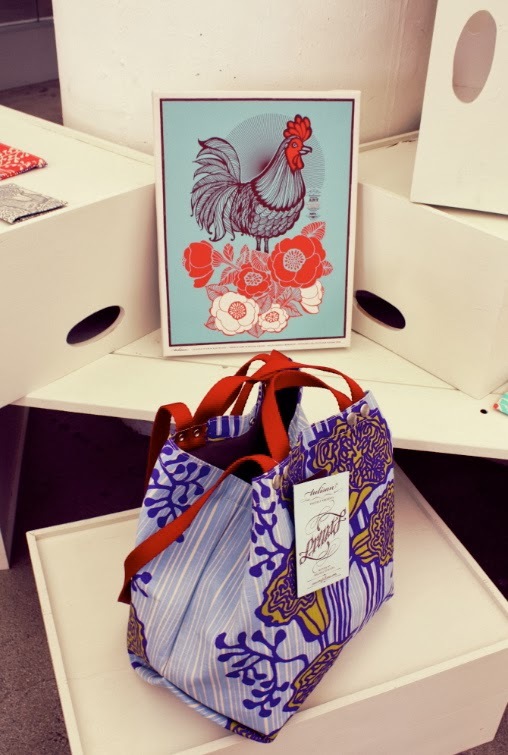 From start to finish Tulisan is made by the hands of super talented artists who reflect their dreams and passion through their beautifully illustrated prints created to be applied to bags, totes, and household accessories. Each illustration is inspired by a story that comes to life in an exquisite, vibrant color palette that definitely makes a statement piece. 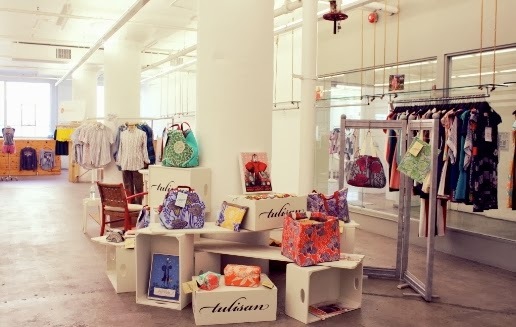 I was very pleased to visit Tulisan's showroom, they are located at the Cooper Building in Downtown L.A. The team was super nice and they shared with me some of the beautiful pieces of their collection. 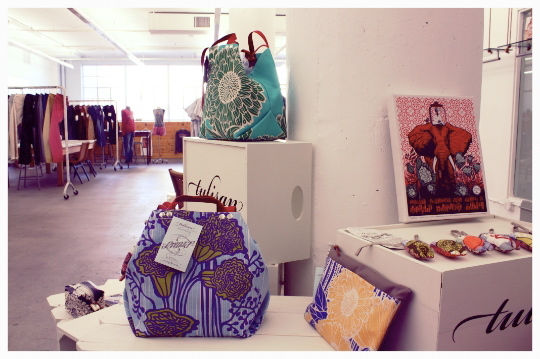 I was amazed by the fantastic designs & great quality, their style has everything I love in a bag. The elephant painting you see below is simply gorgeous! 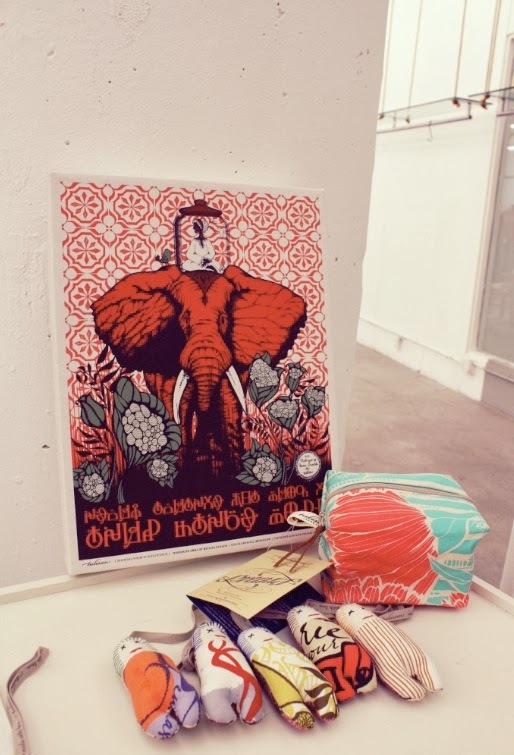 I love elephants and I can totally picture that lovely illustration at home hanging on my wall. I'd love to share with you a little interview with the super talented Melissa Sunjaya, artist & founder of Tulisan. I wanted to learn more about Melissa's story & inspiration. For me, it's always a pleasure to know about the artist behind the product and the creative process. Please take a moment to read it. Thank you! BM: What’s your inspiration? Tell us a little bit about your design process and philosophy. Melissa: I find inspiration in almost every corner: from music, to people, to my travels. Every object has a story, and one only needs to open their heart to discover these peculiarities. Even the simplest details in our surroundings inspire me; such as old cast iron ventilation grilles, quirky shapes of botanical specimens, faded colors of vintage stamps or simply fine handwritten scripts on old postcards. Once intrigued by an object or a concept, I research two things: its origin and what it means to that culture. I take elements of each subject and display them in a different context. For instance, I would fuse traditional and contemporary elements from varying cultures like fresh Scandinavian color palettes over architectural patterns from the Middle East. BM: Please share with us a little bit about Tulisan? How did you decide to start this company? 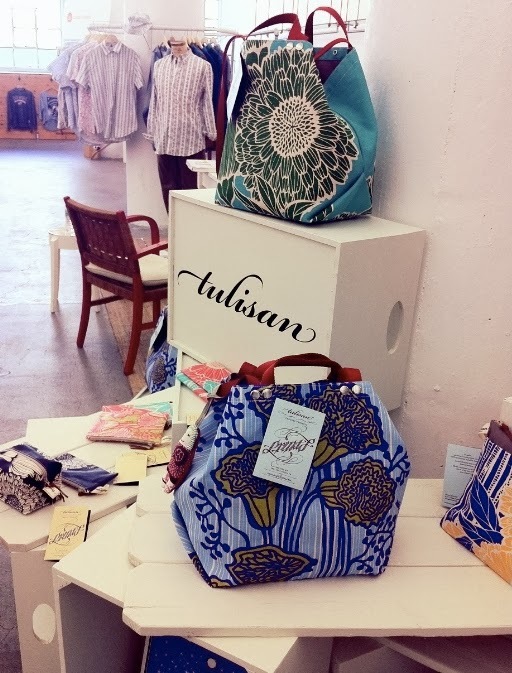 Melissa: In 2010, I founded Tulisan to pursue my lifelong dream of creating handmade products with an original twist. With $500 for my initial production cost, I bought one hundred yards of raw cotton canvas from an upholstery shop which was going out of business, cut the canvas into small pieces, and started silk-screening my artwork on to these cotton sheets. The first set of tea towels, aprons, and cushion covers were made in my garage using my grandmother’s 1940s Singer sewing machine. BM: What’s the most important thing for you as an artist? Melissa: Tulisan is about making a mark while staying true to oneself and sharing the journey with others. My artwork is a form of recording my emotions and transferring these through the mediums I use. It is important that I do each process honestly and in the most thorough manner. BM: What’s your favorite part of being artist/ founder of Tulisan? Melissa: Tulisan products are made by a team of passionate artists in Indonesia. They are willful individuals who honor their intuitions and project the very best of their being. Many of them have crossed over from their academic or professional background to doing what they do today for Tulisan. We take joy in the process of empowering each other to do things that we never thought were possible. The result is often a nerve-racking experience of self-discovery. BM: What advice would you give to other women who want to start their own business? Melissa: Every woman who wants to start her business should view the journey as a fight for her own freedom. Every triumph she earns in finding this freedom is about discovering something new about herself and every loss she faces is about learning her strength. BM: What’s your favorite indulgence? Melissa: A perfect cup of cappuccino. Melissa: A day of sketching together with my husband and our two daughters. BM: What’s your all time favorite movie? Melissa: Breathless by Jean-Luc Godard. BM: Most-played song/album on your iPod right now? Melissa: Nina Simone’s Wild is the Wind. BM: 3 countries you would love to visit? Melissa: Switzerland, Italy and Spain. ‘Tulisan’ means ‘handwriting’ in Indonesian. 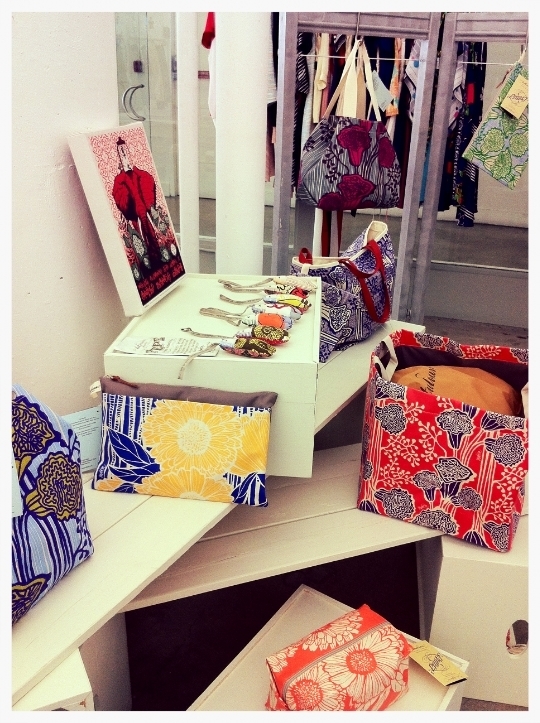 I chose this name, because our collection is rooted in translated colorful narratives onto each printed product we make. Every print on our products comes from my original pen and ink illustrations and they each bear a short fiction. I have always longed to create a wearable medium for visual impressions. Those items are absolutely gorgeous, I just want to purchase them all (if only my pocketbook would let me!). Such a good interview, Tulisan has exquisite style. Cool idea for a blogpost! These are so gorgeous! I could totally see my whole house done up in these prints. Just beautiful. And I love the interview. Nina Simone is definitely inspiring! Wow I love a lot of these pieces I have to bookmark this and come back to read the interview!